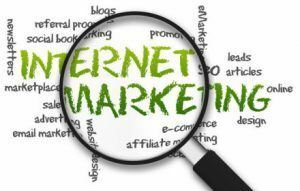 VIDEO | What is Online Marketing? Learn how Online Marketing can change your business when done right! Watch this video and learn how UltraWeb Marketing can help change your business and increase your customer base with a successful online marketing strategy. Many people will tell you the key to a good online marketing strategy is to have a modern website that is mobile optimized. Others will tell you that you need to improve your search engine optimization or use pay-per-click advertising. There are also people who swear by the power of social media and content creation. So who’s right? Well the answer is that you need a combination of them all in order to have a successful online marketing campaign. Only then will you significantly increase the amount of visitors that come to your website and improving your organic search engine ranking. That’s where we come in. UltraWeb Marketing We will Custom Tailor a plan for you that includes the following techniques in order to make your website successful and turn visitors into customers.